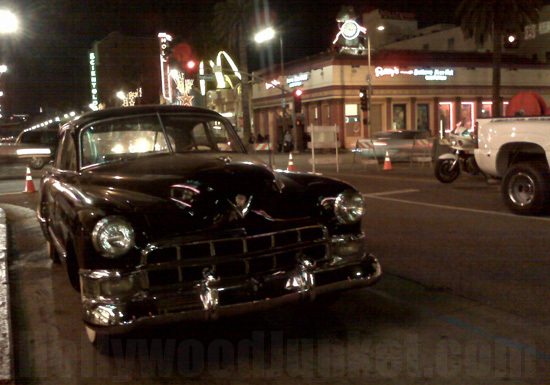 GANGSTER SQUAD: Hollywood Blvd. Transported Back into Time! 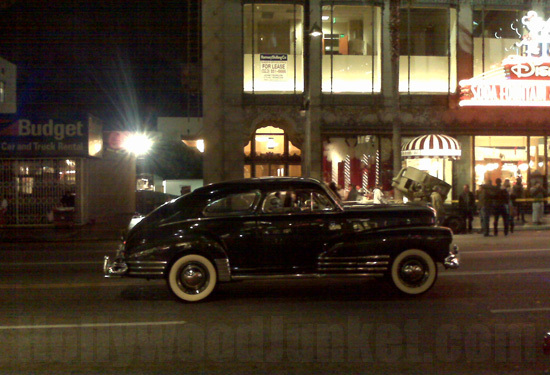 Warner Bros. Pictures film “Gangster Squad” has recently been shooting in various areas in Hollywood over that last two weeks. This weekend, HOLLYWOOD JUNKET got an up-close look at the retro film when Hollywood Blvd. was transformed into the 1940s era. According to IMDB website, “Gangster Squad” chronicles the LAPD’s fight to keep East Coast Mafia types out of Los Angeles in the 1940s and 50s. Directed by Ruben Fleischer who also directed “Zombieland”, the film pairs up actors Ryan Gosling and Emma Stone again whom starred in “Crazy, Stupid Love” which opened in July of this year. Gosling plays Sgt. Jerry Wooters, and Stone is Grace Faraday. Also starring are: Sean Penn (Mickey Cohen), Josh Brolin (John O’Mara), Nick Nolte (Bill Parker), Giovanni Ribisi (Conway Keeler), and Michael Pena (Navidad Ramirez). “Gangster Squad” opens in theaters January 11, 2013. 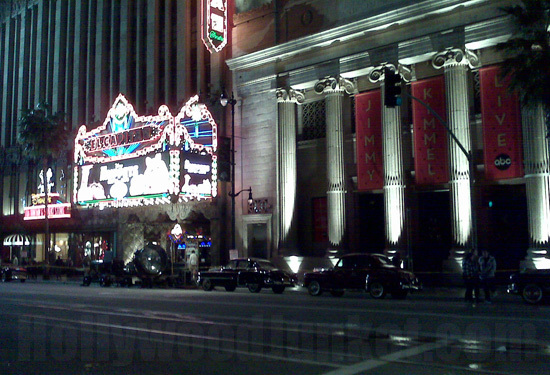 Mann Chinese Theatre being transformed for "Gangster Squad". 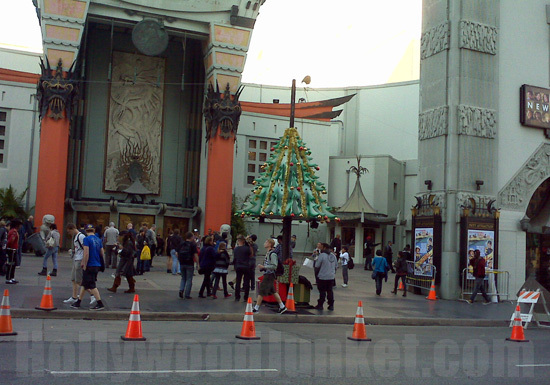 Background actors in front of Mann Chinese Theatre. 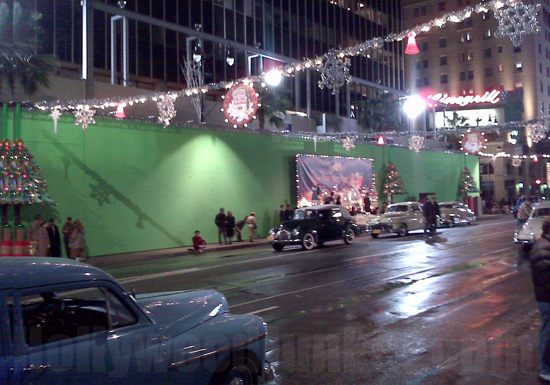 Green screen set-up for shots on Hollywood Blvd. 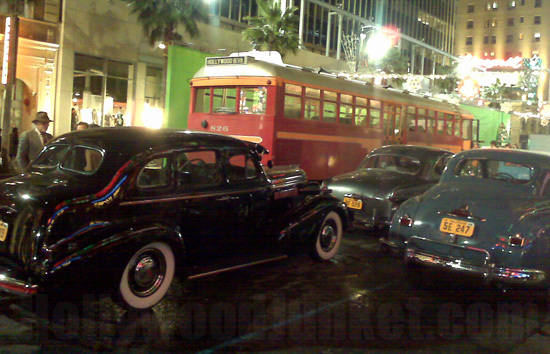 "Hollywood" Trolly on the set amongst classic cars. 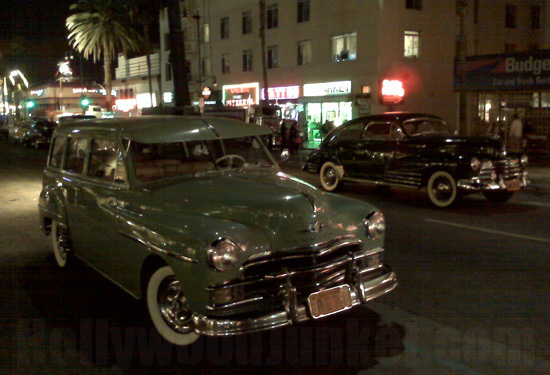 Classic cars on the "Gangster Squad" set, Hollywood Blvd. A line of classic cars in front of Jimmy Kimmel studio. On the famous Hollywood Blvd. strip, "Gangster Squad". 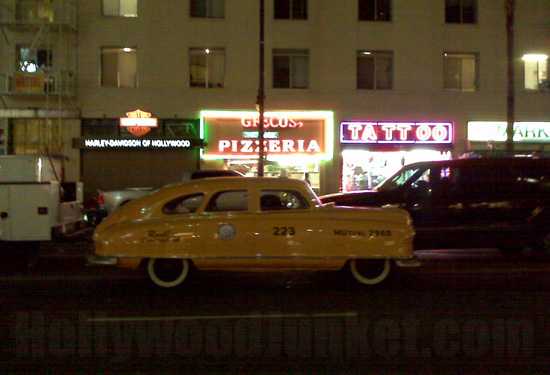 Classic cab on the "Gangster Squad" set. Hollywood Blvd. 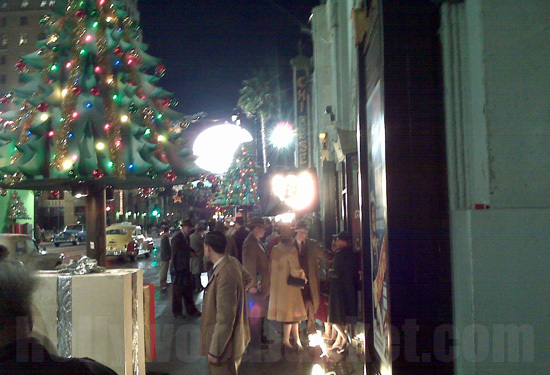 taken back into time, "Gangster Squad" set.